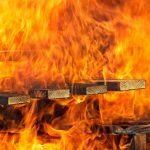 Fire prevention plans – Catch 22 for wood recyclers and the EA? This article by Wiser Environment’s fire prevention plan expert, Andrew Lake, first appeared in MRW in July 2018. The need for sites that store combustible waste to submit fire prevention plans is delaying permit applications as wood recyclers struggle to meet the Environment Agency’s requirements. Wiser Environment’s Andrew Lake looks at what’s causing the hold up. To demonstrate compliance with those objectives, the EA makes clear recommendations about what that plan should cover in their FPP guidance (available on the Government website). This includes (but not exclusively) activities carried out, site layout, types and amounts of waste stored, methods for storing each waste type and maximum volume of each waste pile, fire detection methods, water supplies and firefighting techniques. In theory, if wood recyclers work through the EA guidance, apply the given structure and provide evidence under each prescribed point then they will receive their approved FPP. In practice, the ‘one size fits all’ approach to FPPs presents significant challenges for different sectors of the waste industry which all face their own operating constraints and practical considerations. Under EA FPP guidance, stockpiles may not exceed a given footprint or height. 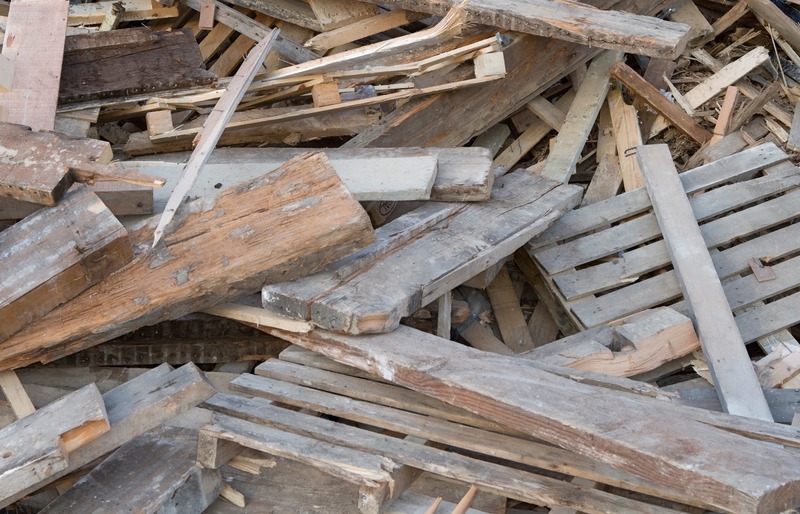 With the challenge of seasonal fluctuations in supply and demand, wood recyclers may need to store greater quantities than the FPPs allow in order to be able to fulfil their contracts. 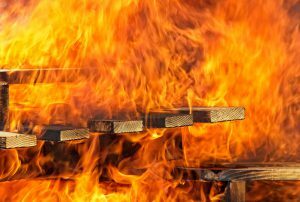 Without being able to stockpile in summer, when the demand for fuel is lower whilst the risk of fire is obviously greater, wood recyclers can’t provide continuity of supply. This conflict is causing one of the main sticking points in the approval of FPPs for the sector. To overcome the challenges of the individual sectors, the EA allows companies to propose ‘alternative measures’ for fire prevention and mitigation at site. These are assessed against the requirement to reduce the fire risk of the activities to an appropriate level, and to meet the three objectives outlined above. Assessing alternative measures places significant responsibility on officers who are not necessarily empowered or have the practical skills to analyse proposed divergence from FPP guidance. The effects of this are compounded by local priorities and pressures which can result in inconsistencies in approval of certain alternative measures in different areas. As a result, the assessment of alternative measures is often a protracted process which not only takes longer but uses more EA resources at an increased cost to the operator. So it’s Catch 22 for wood recyclers. In fairness, the EA is also caught between a rock and a hard place. FPPs are one of the few documents that the EA is required to ‘approve’ which brings with it its own pressures. Failure to approve or delays in approving FPPs creates conflict within sectors that the EA oversees. Approving plans that could potentially fall short in practice negates the purpose of FPPs and could result in catastrophic incidents. With certain sectors of the waste industry so vulnerable to fires, FPPs undoubtedly have a role in both protecting businesses and minimising the risk of fires. What is evident is that further dialogue is needed, to break down the barriers to obtaining approval and to speed up the process, whilst achieving the shared goal that FPPs are fit for purpose and work in practice. Read the original article on MRW website. Wiser Environment has extensive experience preparing fire prevention plans for a wide range of waste management facilities helping them protect their businesses and minimise the risk of fires. Find out more about our fire prevention plan services.